Xiaomi introduced the Mi Max series in India back in June 2016 and despite its gigantic proportions, the phone performed well in the Indian market. Now, the company has launched the third generation of the phablet line-up, Mi Max 3. Xiaomi introduced the Mi Max series in India back in June 2016 and despite its gigantic proportions, the phone performed well in the Indian market. Now, the company has launched the third generation of the phablet line-up, Mi Max 3. While the first two generations had a similar screen size of 6.44 inches, the third generation stretches out to 6.9 inches, thanks to the 18:9 aspect ratio of the display. The new phablet has been launched in China and will go on its first sale on July 20. In India, the Mi Max 2 completed its annual update cycle in the month of July. 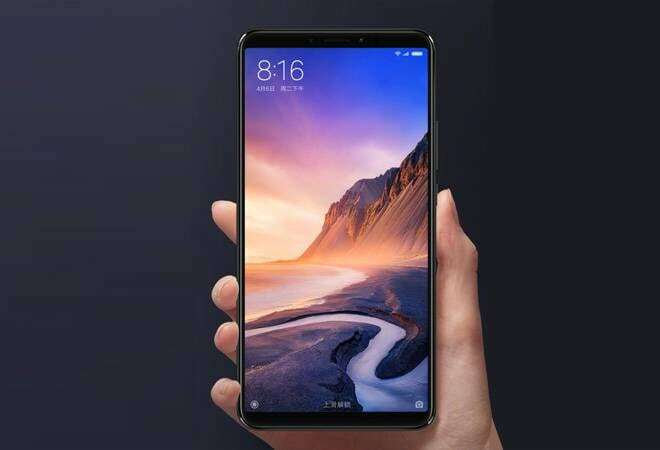 Since the Chinese launch was delayed by two months, we can expect Xiaomi to launch the Mi Max 3 in India in the coming months. The biggest differentiator of the device is the massive screen size of the smartphone. At 6.9 inches, Mi Max 3 would have been considered a full-blown tablet a couple of years of back. The 18:9 aspect ratio helps to pack a bigger screen with a footprint similar to previous iterations. The screen is a FullHD+ panel that comes with a brightness of 520nits and 84 per cent of the NTSC colour gamut. The device is powered by Snapdragon 636 chipset and comes in two variants. The cheaper of the two variants comes with 4GB RAM and 64GB of internal storage and the second with 6GB RAM and 128GB of internal storage. The camera comes with a dual-lens setup with one 12megapixel lens and another 5megapixel sensor. Both sensors come with an impressive f/1.9 aperture which should help with low-light photography. The front panel houses an 8megapixel sensor with f/2.0 aperture. The device gets Bluetooth 5.0, GPS/ A-GPS, GLONASS and USB Type C for connectivity. One of the biggest USPs of the Max series is its battery life and the Mi Max 3 doesn't disappoint. The phone houses a mammoth 5,500 mAh battery. The battery also gets Quick Charge 3.0. The device is 7.99mm thick and weighs in at a massive 221grams. The Mi Max 3 4GB RAM 64GB storage variant is priced at CNY 1,699 (roughly Rs 17,300). The 6GB RAM and 128GB storage variant is priced at CNY 1,999 (roughly Rs 20,400). The Indian prices are expected to fall in the same price segment.